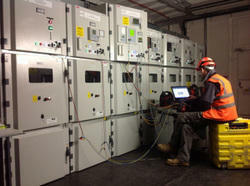 We are a leading service provider of Panel Installation & Testing. We also deal in electrical work and electrical contractor. Service Provide of Relay Secondary Test, CT Primary Injection Test & Hi Voltage Test.. In order to retain our remarkable position in this industry, we are providing a wide array of APFC Capacitor Panel. Ryb Electrical Services Pvt. Ltd.
By using advance technology, we are involved in providing Control Panel Testing Service. Reduces Motor starting current, Effeciency, Speed control, Automatic Load cut off features. To meet utmost satisfaction of consumers, we offer L.T. Panel Testing Service. All our professionals are highly experienced and eager to finish the task in minimal way. Professionals keep friendly behavior with all patrons. Owing to our proficiency of this area, our firm is engaged in rendering HT Panel Testing Service. These services are accomplished by industry capable experts, who have prosperous understanding of this realm. Besides, we render this service at nominal costs. Being a quality oriented organization, we are indulged in providing Control Panel Testing Service. George Multi Tech Systems Pvt. 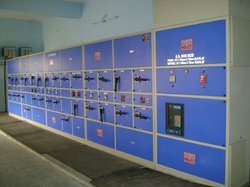 Ltd.
Best quality of Electrical Panel Testing Service is provided by us to customers as per their requirements. Testing Panel For Tube Lights.